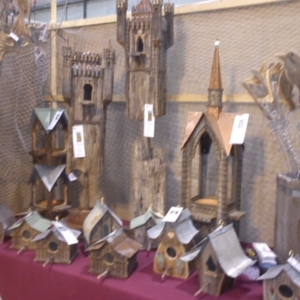 Tags: bird box, bird cage, Cameo Alpacas and Garden Art, castle, column, crenellation, Deloraine, drawbridge, Elod Gunther, Gothic, parapet, Pearl Anderson, pointed arch, spire, Tas, Tasmania, tower, Woodbridge. 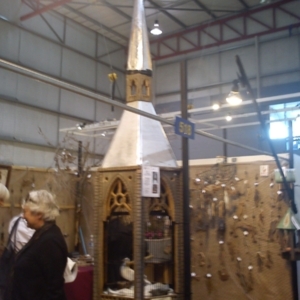 Tags: bird cage, Cameo Alpacas and Garden Art, Deloraine, Elod Gunther, Gothic, Pearl Anderson, pointed arch, spire, Tas, Tasmania, Tasmanian Craft Fair, tower, tracery, Woodbridge. Tags: Armour, Bismarck Metalcraft, Deloraine, helmet, Ken Bradford, knife, knight, Old English font, re-creation, sword, Tas, Tasmania, website. Tags: axe, bodyguard, Byzantium, combat, New Varangian Guard, NGV Garrison, Norse, re-enactment, Rusland, saex, spear, sword, Varangian, viking, website. 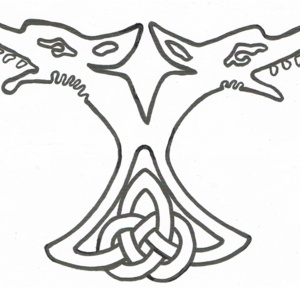 Tags: Celtic, clan, combat, cooking, craft, Elizabeth (Hlif), Gall-Ghàidheil, Galloway Bay, games, Hiberno-Norse, logo, Maleny, Norse, Qld, Queensland, re-enactment, ring-knot, Scotland, The Happy Viking, trade, Ulf, Ulveflokk, viking, website. Tags: Braid, Celtic, craft, Elizabeth (Hlif), jewellery, leatherwork, Maleny, pottery, Qld, Queensland, re-enactment, store, Sweden, The Happy Viking, The Happy Viking: Leatherwork and craft of the Viking and Medieval Age, Valsgärde, viking, weaving, website.